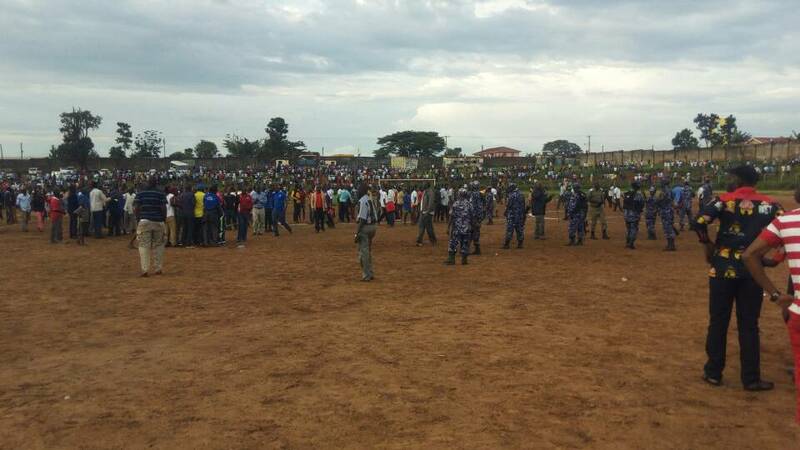 Chaos disrupted the Federation of Uganda Football Association- FUFA Drum soccer quarterfinal match between Bugisu and West Nile. Bugisu fans stormed the pitch, stoned the referee and his assistants, protesting a goal that was cancelled. The chaos erupted in the 87th minute, when West Nile was leading 1-0 following a goal scored by Fred Amagu. Police were forced to fire tear gas and rubber bullets to disperse the rowdy fans who wanted to attack the referees. The referees had to be escorted off the pitch by anti-riot police. 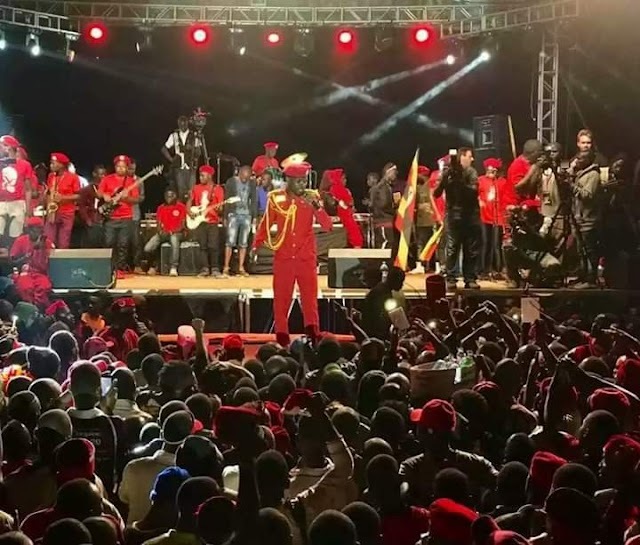 The rowdy Bugisu fans camped outside the stadium along Mbale - Pallisa high way and continued pelting the police with stones. Mike Letti, Team leader for West Nile accused Bugisu of not respecting the referee's decision.